This storage is size of a small classroom. All items and furniture from an average 2 to 3-bedroom apartment could fit in this space. Items include bedframes, mattresses, wardrobes, sofas, electrical appliances such as television, washing machine, dryer, refrigerator, a dining table and chairs, coffee tables as well as other small household items such as kitchen appliances, living room accents as well as apparels kept in boxes. 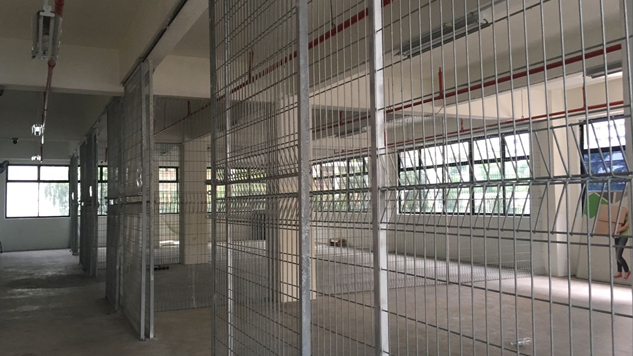 This space can accommodate large machineries, or approximately 20 desks as well as chairs. In addition are electrical appliances such as photocopy machines and computers or even filing cabinets. Documents could be kept in boxes and stacked up.